Its free iOS companion Panorama is available in the App Store. Panorama is a professional high quality image stitcher for iOS and Mac. 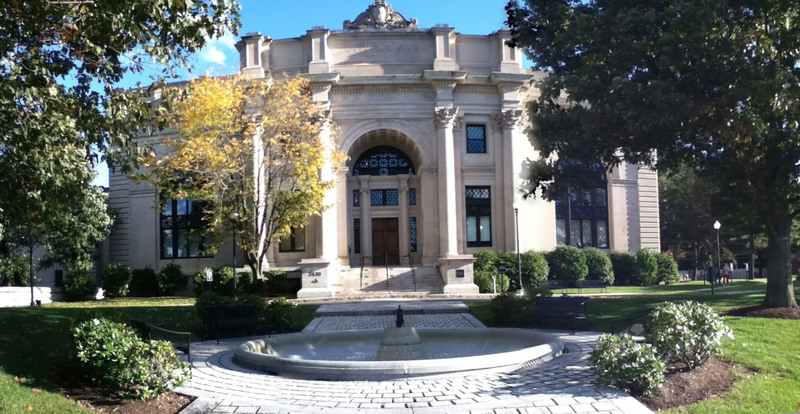 Panorama has perfected an image matching technique called homography, whose primary advantage over other apps of this type is that it does not warp horizontal edges in the panorama, making it ideal for photographing architectural scenes. Create beautiful high-resolution panoramas on your Mac or iOS device. Extends the capability of your digital camera or scanner by stitching multiple overlapping pictures into stunning panoramas. The 16 images to stitch. And here are the images stitched together in Panorama, to smoothly join them together. Panorama employs an approach, namely homography, not found in other products of this type, removing artificial warped curvature of straight edges, creating a more realistic panorama. Use Panorama when your camera can't fit the whole picture in the view finder, or your scanner's pane can't fit the whole page. To import to other apps, save your results from the Result window, in various formats such as JPG, PDF, PNG or TIFF, and others, depending on what your system supports. Or, copy your image to the clipboard in the Result window to paste it into other apps. For example, in Preview, select "New from Clipboard" to open and edit the panorama. • Doubles and triples your camera's field of view. 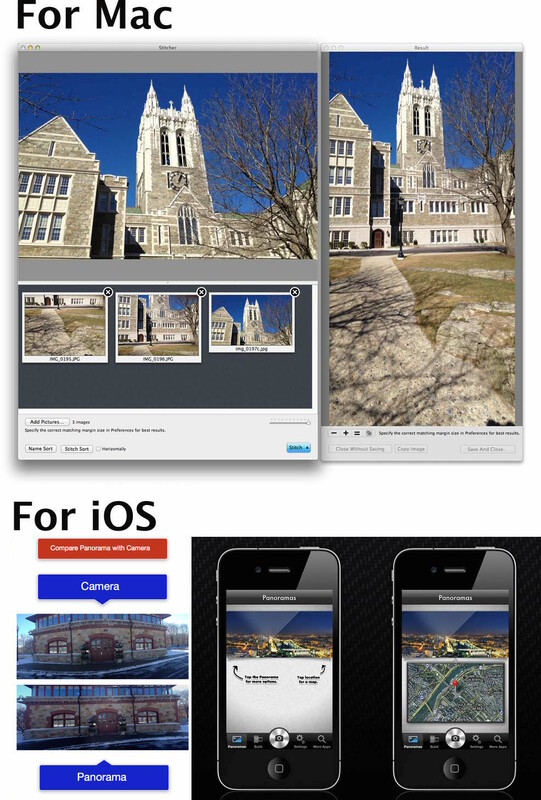 • Perfectly seamless 2 and 3 picture panoramas. • Creates 360° high resolution segmented panoramas. • Photo sets larger than 3 are blends of smaller stitched panoramas. • Save in any format supported by your system, such as JPG, PDF, PNG or TIFF. • Each individual stitch can merge up to 16 pictures at a time. • Stitches vertically or horizontally. • Apply subsequent stitching to panoramas to create rectangular mosaics. • Alternatively blend pictures with stitching turned off to create photomontages. 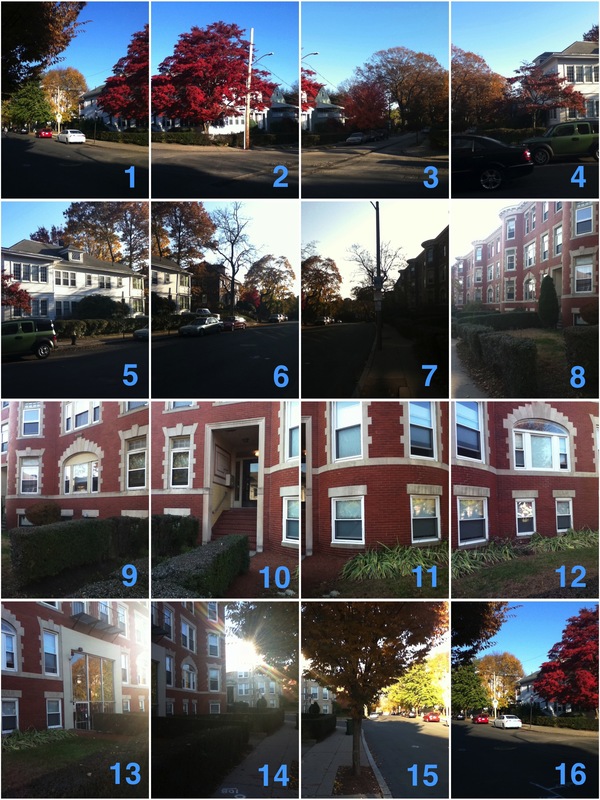 • Automatically sort pictures in the order they should stitch. • Option for scaling down very large pictures to increase speed. • Stitching margins are adjustable to match the overlap in your pictures. • Supports image formats jpg, tiff, png and bmp.